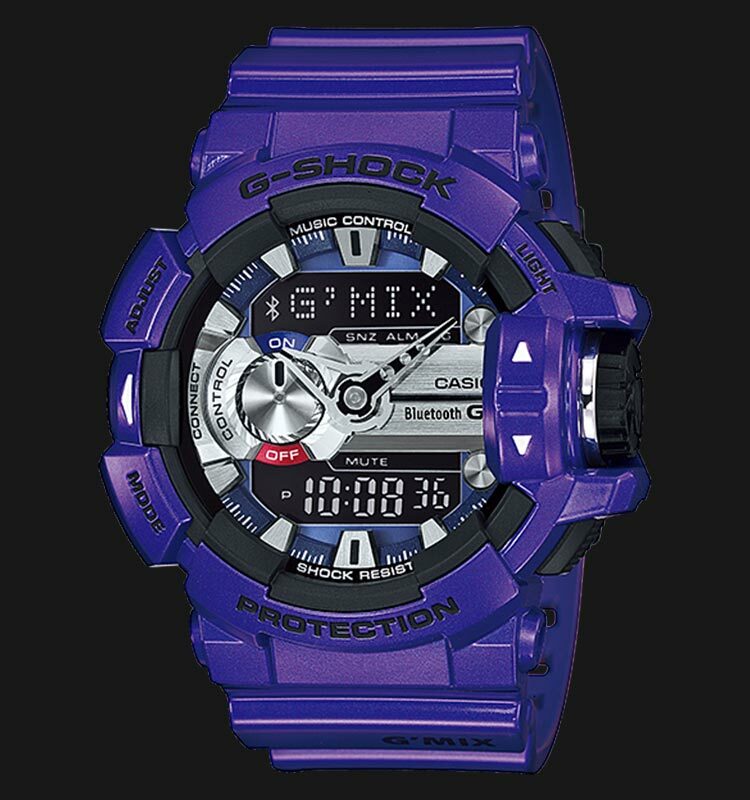 G-SHOCK, the watch whose popularity spans various interests and culture, is proud to announce a collection of new music-themed G’MIX watches. 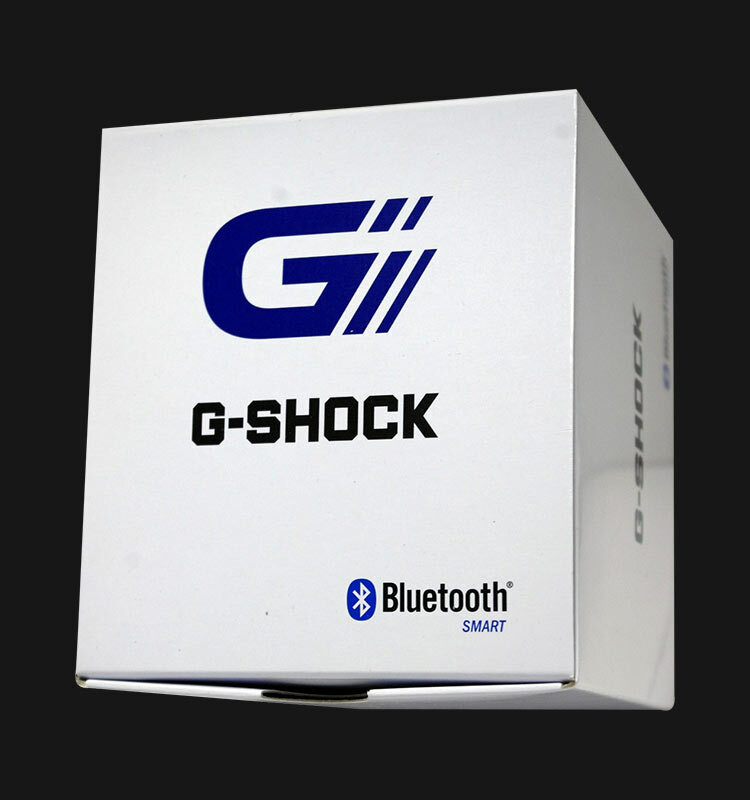 This watch is Bluetooth® smart, which makes it possible to establish a connection with a smartphone to control various phone features from your watch.The big rotary switch at 3 o’clock can be used to jump between songs, control the music volume, or adjust sound attributes with an equalizer function. With the song title search function, the touch of a button lets you look up the title of a song playing in your location and display it on the watch. You can even use the watch to produce a variety of different sound effects on your phone. Cases and bands are both done to a high-gloss finish. The dial at 9 o’clock, which indicates the current connection status between the watch and phone is designed to resemble a turntable, which adds to the musical motif of these models. In terms of features, functions, and design, everything about this new G’MIX model is geared towards music and its enjoyment by you. 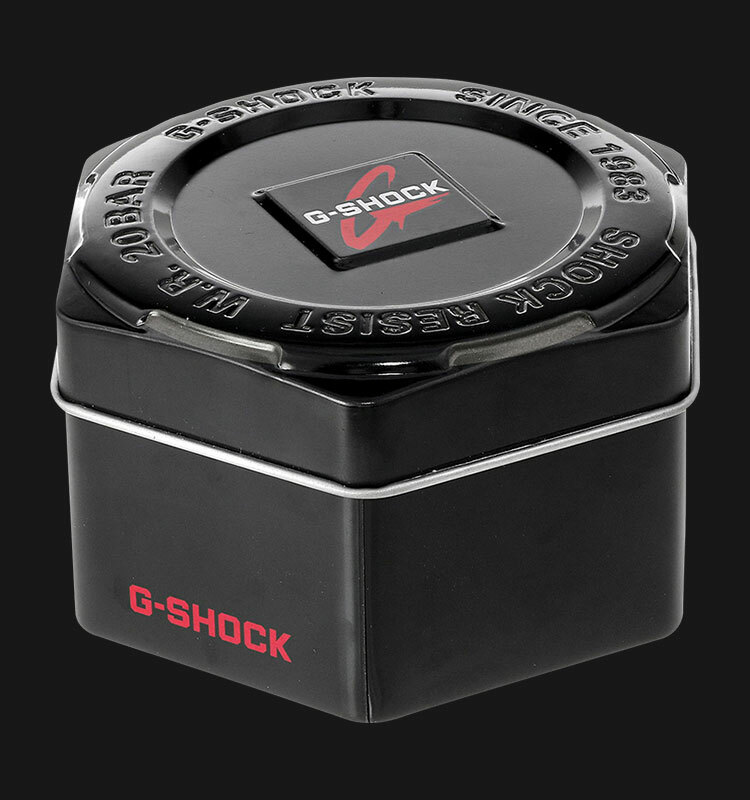 Use of Mobile Link requires downloading of the "G-SHOCK+" and "G'MIX App" apps to the phone. Kelihatan elegance terus terang saya beli jam ini karena warnanya... Ya biru my favourite colour.